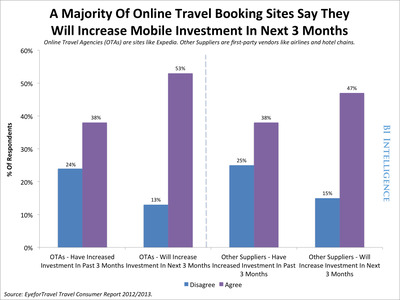 Mobile Is Beginning To Define The Multitrillion Dollar Global Travel Industry | Business Insider. imagine that – 7% of all online-bookings are by tablet and tablets and ipdads account for 11% of all time spent on travel sites in april 2013 accouding to PhoCusWright. What does this mean to the Future of Travel – Read more on Business Insider.